You don't always have to be a high roller to enjoy the finest things that NYC has to offer. 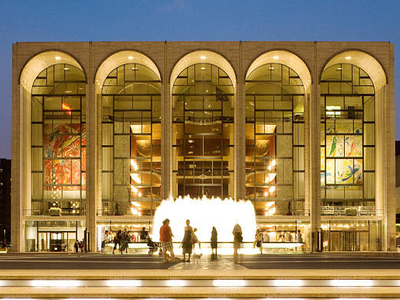 Thanks to The The Agnes Varis Trust you can now enjoy 200 orchestra seats to each performance of The Metropolitan Opera for just $25! Up this week: Aida, Falstraff, Rigoletto, Aida, Falstraff, Das Rheingold & Rigoletto. Tickets will go on sale for performances Monday through Friday at noon, for matinees four hours before curtain, and for Saturday evenings at 2 pm.